New Jersey Drunk Driving DWI / DUI Defense Attorney - (732-634-5512) Timothy J. Little, P.C. An arrest for drunk driving / DWI / DUI can have very serious consequences including, but not limited to, license suspension, fines, mandatory installation of an ignition interlock device, and incarceration. If you have been arrested for DUI or a related offense, you may wish to consult with an experienced attorney. If you have any questions or concerns regarding DWI or DUI, please contact the attorneys at Timothy J. Little, P.C. at 732-634-5512 or use our contact form. Timothy J. Little, P.C. 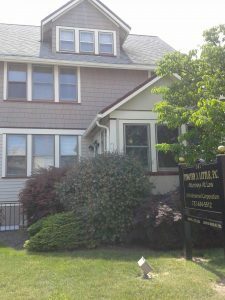 is a full service law firm offering specialized legal assistance to individuals, families and businesses throughout New Jersey including Middlesex County (Old Bridge, Woodbridge, Sayreville, East Brunswick, Spotswood, Perth Amboy, Dunellen, Colonia, Sewaren, Iselin, Avenel, Fords, Keasbey, Menlo Park, Port Reading, South Amboy, Monroe, Edison, Carteret, Cranbury, Helmetta, South River, Milltown, Highland Park, Jamesburg, Laurence Harbor), Monmouth County (Matawan, Aberdeen, Hazlet, Middletown, Freehold, Marlboro, Keyport, Keansburg), Union County (Rahway, Elizabeth), Ocean County, Somerset County, and Burlington County.